George Murphy and Shirley Temple tap dance over floors and tables in the 1938 film version of "Little Miss Broadway." An orphan finds that leaving the orphanage continues and does not end life’s struggles. She keeps smiling as she charms problem personalities and works hard. Will she end up better off than before or back where she started in “Little Miss Broadway”? Shirley Temple sparkles as she keeps pace with one of Hollywood's leading song-and-dance stars, George Murphy. 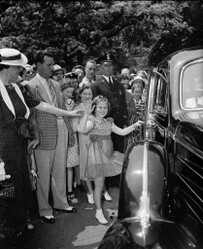 On June 24, 1938, one month prior to release of “Little Miss Broadway” Shirley Temple visited President Franklin Delano Roosevelt in the White House and shared that she had lost a tooth on the previous evening. 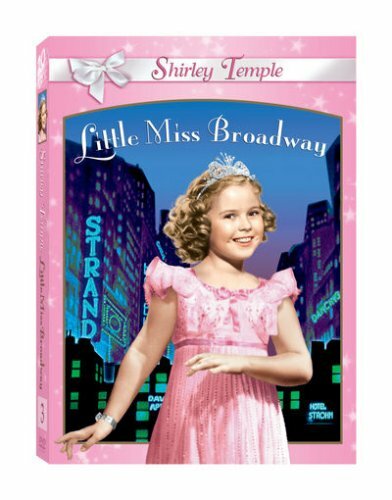 An orphan finds happiness helping herself and others in Little Miss Broadway by writers Harry Tugend and Jack Yellen; producers David Hempstead and Darryl F Zanuck; and director Irving Cummings. Arthur C. Miller; Walter Thompson; and Harold Spina handle cinematography, editing, and music. Filming showcases California’s Movietone City. The musical lasts 70 minutes. Its distributor was 20th Century-Fox. Its NYC-premiere and USA-release dates were July 22 and 29, 1938. 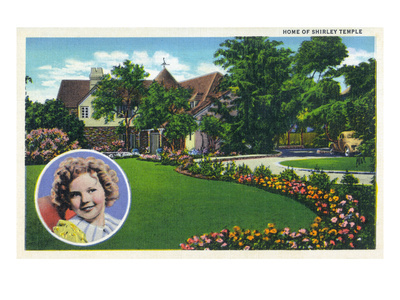 The movie begins with Madrey Orphanage’s matron (Jane Darwell) announcing Betsy Brown’s (Shirley Temple) adoption. Betsy’s parents’ friend William J. Shea (Edward Ellis) manages NYC’s Hotel Variety with daughter Barbara (Phyllis Brooks). The theatrical boardinghouse’s landlady Sarah Wendling (Edna May Oliver) lives across the street. Roger’s input as Variety’s third owner. Barbara rejects Roger’s $2,500 loan. Pop does not need Jazz Bandits bandleader Jimmy Clayton’s (Jimmy Durante) $25.00 from pawned objects. “Thank You for the Use of the Hall”. Variety’s razing since trainer Ole’s (El Brendel) penguin violates the animal-free lease. Betsy and Roger hide at Sarah’s. Roger organizes Betsy’s surprise birthday party. Sarah returns early from vacation. Judge Hart (Claude Gillingwater) must rule on the soundness of Roger’s plans. Perry (Russell Hicks) observes that a Broadway show with Variety performers undoubtedly will flop. Betsy shows up to suggest that any ruling must follow witnessing what Variety’s troupe can do. Betsy requesting a marriage license for adoptive parents Barbara and Roger. Characters played by John Agar, Henry Fonda, Shirley Temple, and John Wayne impact Cochise and Geronimo in the 1948 film version of "Fort Apache." Characters played by John Agar, Shirley Temple, and Robert Young cause art, God, and suffragism to mingle in Charm City in the 1948 film version of "Adventure in Baltimore."